What is grade book report? 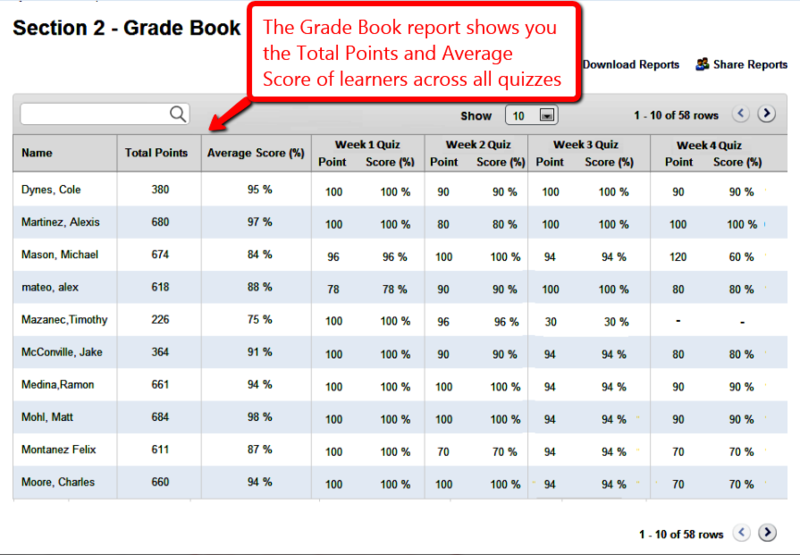 The Grade Book report shows you the total points and average score of a learner or a group. 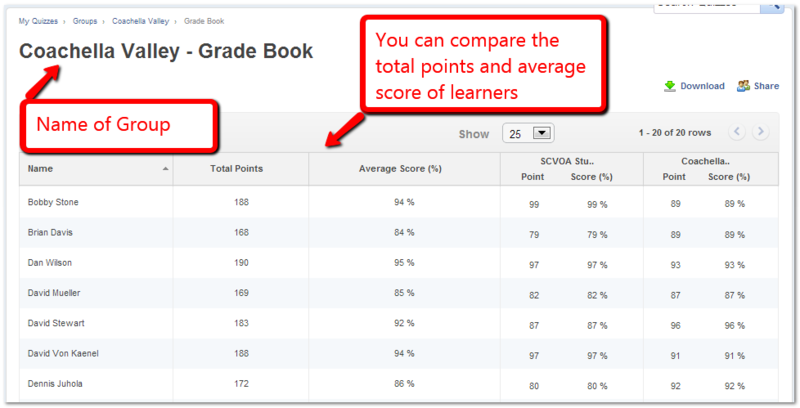 The total points and average score represent all quizzes embedded within courses taken by the learner or the group. The report also helps you understand the performance and progress of learners. User Grade Book report - This shows the total points and average score of a single learner for all quizzes attempted. Group Grade Book report - Group Grade Book report shows you the grades - total points and average score of all the learners in a particular group. This report helps you to compare the performance of learners. Below are steps to access the Grade Book report for a group. Steps are similar for a user's Grade Book report. Step 2: Select Group and click on Grade Book, to view the report.